When the weather outside gets frightful — sheets of snow, blistering wind, teary eyes, numb noses — we say, stay inside by the fire where you can feel your toes! But there is a time of year just shy of unbearably cold, when the snow falls and the kids (or young at heart) start shoving their hands into mittens and feet into boots, and everyone is ready to dive in and get frosty. It’s a pretty wonderful way to create family memories, even if you’d rather be inside with a book. If Christmas isn’t the time to rally, when is? Get out there and get cold! Before you hit the white stuff, bundle up. Think about it: Have you ever felt too warm making snow angels? This is a time when more is more, so break out your long underwear or the base layers you bought for skiing that one time, pile on pants and sweaters, your puffiest, most embarrassing coat, hat, gloves, scarves — the whole nine yards. Repeat for every family member. Yes, you will start sweating before you make it outside. But you’ll be glad you overdid it when the kids decide to build a whole snowman family instead of just one. Bonus tip: Before you go outside, start warming a holiday fragrance indoors — maybe one with spicy cinnamon notes — to help trick your senses into feeling more cozy and less cold when the fun is done. Now that your hands are warm, it’s time to warm some hearts. There’s something magical about falling snow, and holiday snow ups the ante even more. Smiles are bigger, laughter comes easy, and capturing the really sweet moments — like when one kid hits the other kid in the face with a slushy snowball — is top priority. This makes a camera every bit as essential as your favorite stocking cap. 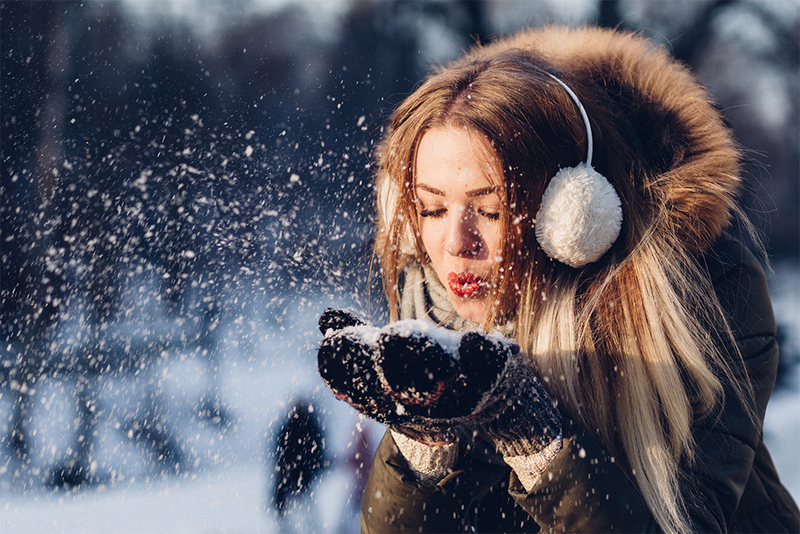 Your phone will do, but taking out a larger, fancier-looking camera helps ensure you’re not the one getting smacked with snow. No one wants to be on the hook for your Nikon. Tired of the traditional snowball fight? Try freeze tag instead! Rather than the classic rules, where the person tagged is frozen, let your snowballs do the tagging. Looking for something more creative? Try painting the snow. Just fill spray bottles with water, add a few drops of food coloring, and start spray-painting gingerbread men, ornaments, candy canes or other holiday themes. Hang up all that winter gear to dry, and keep it from getting musty with a fabric deodorizer in a nice, fresh scent. Don’t wait! Wet and crumpled now = moldy later. Don’t forget your boots! Drop a scented pouch inside each one until you’re ready for more snow-play. Soothe your wind-chapped skin with a rich hand cream in your favorite scent. 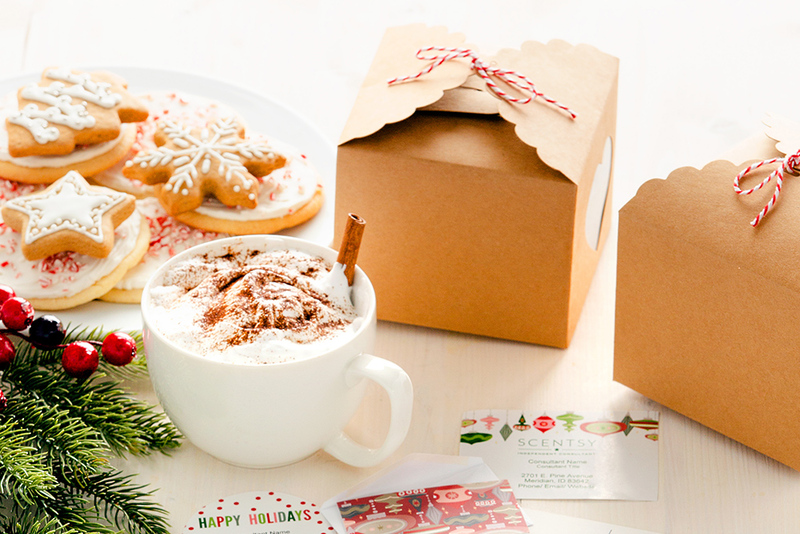 Pass around mugs of piping hot cocoa, top with mini marshmallows or a candy cane from the tree, and settle in. 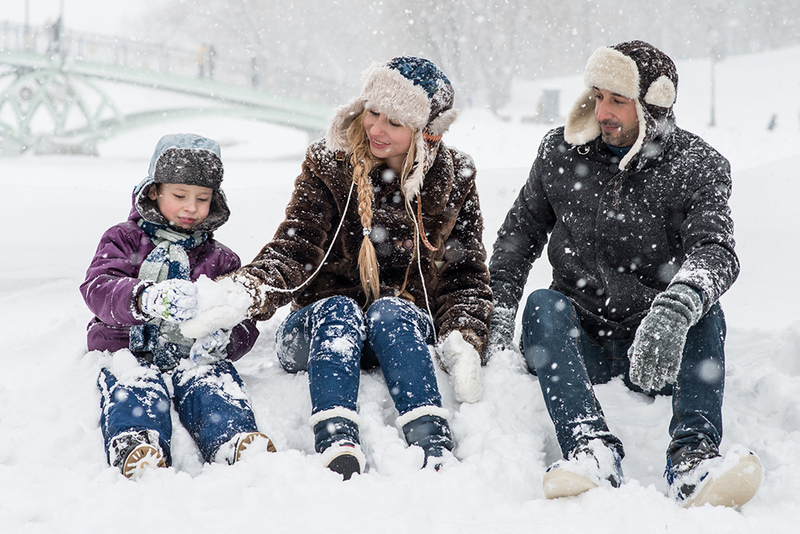 What are your favorite winter activities to do with your family? Share in the comments. Separator image Posted in Authentic Scentsy, Family, Our Products.